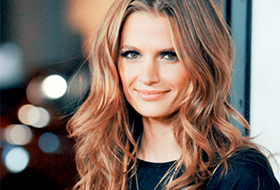 In 2009, Stana Katic was nominated for a Satellite Award for Best Actress in a Drama Series. BuddyTV listed Stana on “The 15 Best Drama Lead Actresses of the 2011-2012 TV Season” and also listed her on “TV’s 100 Sexiest Women” every year from 2009-2013. Stana was also on the Maxim Hot 100 list from 2012-2014. At the third Annual Shorty Awards held on March 28, 2011, she won the actress category and in May 2011 won Most Glamourous Actress online ballot for the Monte-Carlo Television Festival. 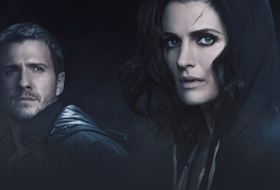 Stana has won numerous TV Guide Awards, including ‘Favorite Couple Who Should’ in 2011 (with Nathan Fillion), Favorite TV Couple in 2012 and 2013 (with Nathan Fillion), and Favorite Actress in 2014. The Theatre School of DePaul University held it’s annual awards in April 2013, and Stana brought home the Alumni Award for Excellence in the Arts. In 2013, Stana was nominated for a People’s Choice Award for Favorite Dramatic TV Actress. She brought the award home in 2014, and won Favorite Crime Drama TV Actress in 2015 and 2016.